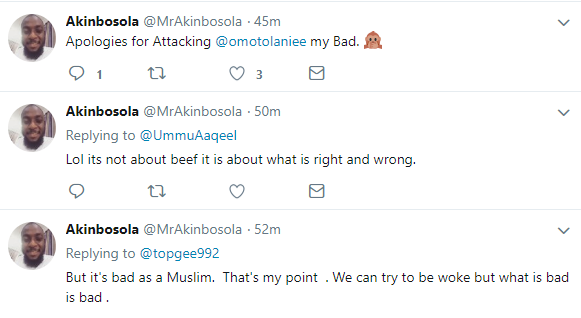 A Twitter user, simply identified as @Akinbosola, slammed a muslim woman for sharing a photo she took with cross dresser, Bobrisky at an event in Abuja yesterday. 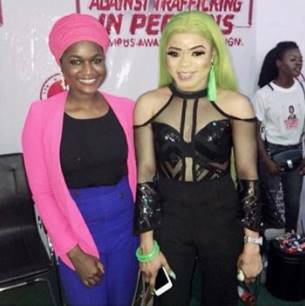 Omotolani had shared the photo of herself with Bobrisky on Twitter with the caption "Guess who I met today". 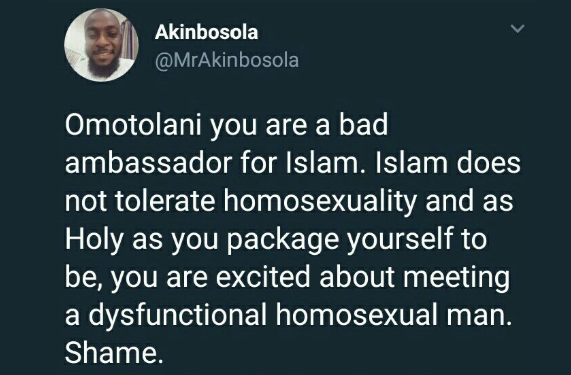 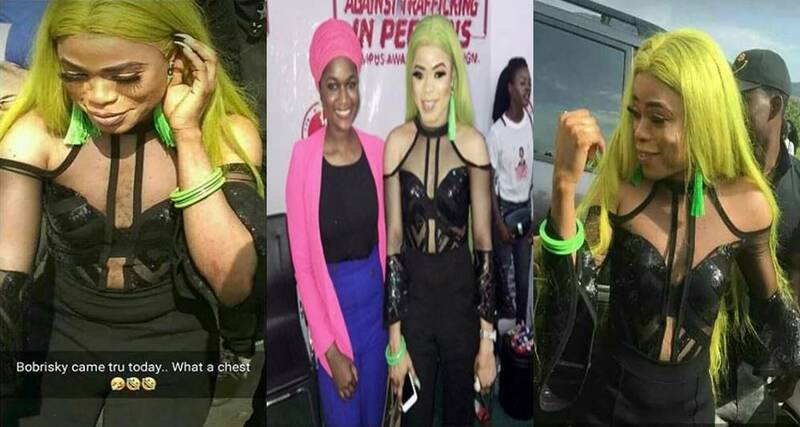 And in no time, Akinbosola commented on the picture, slamming her for being excited about meeting a "dysfunctional homosexual man"
While some ladies voiced out their opinions stating that the male barbie is actually becoming a "woman" and even prettier in recent times, a particular non-fan opted to slam Bobrisky for allegedly slaying too much.